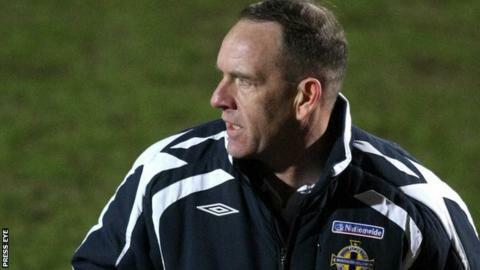 Kenny Shiels is the new frontrunner to replace Eddie Patterson as Glentoran manager with the former Kilmarnock boss set to meet club officials this week. The 59-year-old was at the Oval on Saturday as Glentoran drew 1-1 with Coleraine in the Irish Premiership. A lengthy managerial career has included spells at Ballymena United, Coleraine, Greenock Morton, Kilmarnock and the Northern Ireland U17 side. Roy Coyle is currently in charge of the Glens in a caretaker role. Patterson was sacked earlier this month and former Glentoran players Pat McGibbon and Gary Smyth were linked with the job. H&W Welders boss Smyth turned down the chance to manage his former club and now Shiels could take over at the Oval. Shiels' last taste of management came in Thailand with BEC Tero Sasana. Glentoran are sixth in the Premiership standings with five wins from their 14 games.